Anchor House01263 715779work01603 870304fax Self-cateringIf you want to be in the heart of Wells-next-the-Sea then look no further. Anchor House is a great family or friends holiday home within walking distance of the quayside, shops, pubs, restaurants and a leisurely stroll will get you to the beach or you could take the small gauge railway if you prefer! Furnished and decorated to a high standard, there is a living/dining room and well equipped kitchen on the ground floor, whilst upstairs there are 3 bedrooms and a luxuriously appointed shower room. Wells-next-the-Sea is a lively coastal town on the north Norfolk coast with much to entertain, a visit here will not be forgotten in a hurry and not a chain store in site! Anchor House offers weekly bookings starting on Friday. If you want to be in the heart of Wells-next-the-Sea then look no further. 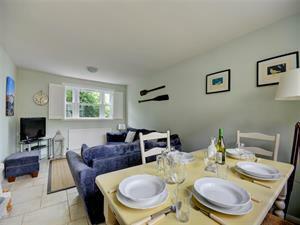 Anchor House is a great family or friends holiday home within walking distance of the quayside, shops, pubs, restaurants and a leisurely stroll will get you to the beach or you could take the small gauge railway if you prefer! Furnished and decorated to a high standard, there is a living/dining room and well equipped kitchen on the ground floor, whilst upstairs there are 3 bedrooms and a luxuriously appointed shower room. Wells-next-the-Sea is a lively coastal town on the north Norfolk coast with much to entertain, a visit here will not be forgotten in a hurry and not a chain store in site!